2016 Reprint of 1961 Edition. Full facsimile of the original edition, not reproduced with Optical Recognition Software. 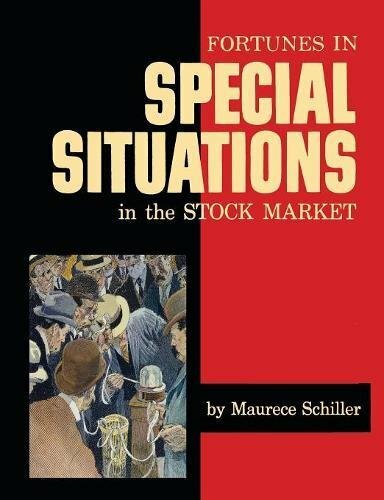 Schiller provides a detailed, practical roadmap to building a fortune from investments in special situations in stocks and bonds. He explains the basic requirements of a special situation-how to find the right situation-when to buy-how to minimize risk-how to protect and take profits. Every conceivable type of special situation is covered. In addition, Mr. Schiller demonstrates how to utilize professional techniques to maximize profit and minimize risk. If you have any questions about this product by Martino Fine Books, contact us by completing and submitting the form below. If you are looking for a specif part number, please include it with your message.